Dax was in a growing momentum yesterday, from the open till the close. The high probability statistic of breaking Monday’s high has turnout out to be spot on, again. 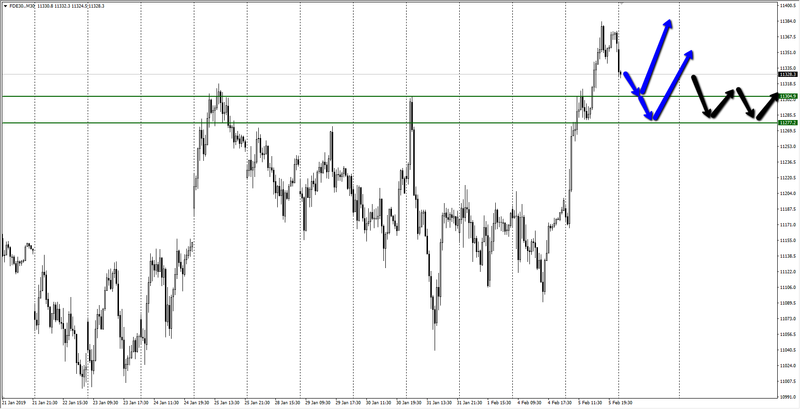 That high has also served as nice support for a pullback. The overall range was some 220 points. Today, the price opens with a small descending gap, which has already been closed. Detailed statistics in the Statistical Application. The statistical probability of breaking Tuesday’s high is 83%. The price started dropping significantly right after the open, but it’s more likely that buyers will eventually dominate and take the price higher above yesterday’s high. Bulls could appear around the support zones of 11 304 or 11 277. Should there be no activity in the markets, the price might slow down significantly between these zones.